petition: Help Induct Bill Hanley of Hanley Sound into the Rock and Roll Hall of Fame! Help Induct Bill Hanley of Hanley Sound into the Rock and Roll Hall of Fame! Hello, friends my name is John Kane. I am a post grad doctoral student and for four years, I have been researching the life/career of pioneer sound engineer Bill Hanley. Since the beginning of this research, until now my discoveries have been overwhelming. Collectively (and historically) sound reinforcement is an area of technology often overlooked by music fans et.al It is my hope that the Rock and Roll Hall of Fame will acknowledge, consider, and/or invite Bill Hanley and his pioneering sound company into their elite world of music industry icons. If the RRHF leadership were to deepen their investigation of popular music, they would surely realize that the area of sound reinforcement owes much to Hanley's pioneering work. An acknowledgment like this would bring light and significance to an era innovation where quality sound in popular music mattered most...the 1960s and 1970s. In my view (and others) Hanley was a primary force in bringing quality sound to the forefront of the evolving music and political arenas. 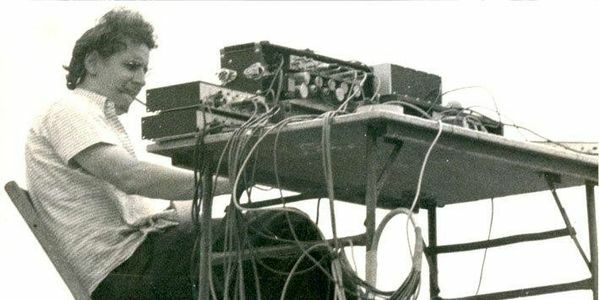 When primitive public address technology was the "norm" for various events, the influence of Bill Hanley and his company "Hanley Sound" of Medford Massachusetts elevated the live sound through various innovative methods and application. To many in his field Hanley is known as the "Father of Festival Sound" primarily because of his innovations, particularly within the outdoor "festival" sound reinforcement industry. Interestingly though, he is rather unknown to people outside of his trade. What makes this research so compelling is that during the 1960s and 1970s Hanley and his team of brilliant engineers were involved with some of the most highly significant anti-war peace rallies, pop/rock festivals, and historic venues in American culture which include: The Newport Folk/Jazz festivals (including Bob Dylan's Electric concert), The Fillmore East, and his culminating performance at the Woodstock 1969 festival...not to mention ¾ of the pop and rock festivals of the mid late 1960s early 1970s …just to name a few. This was the golden age of the "festival" and Hanley Sound was the go to company. Growing up in Medford, Massachusetts in the 1940s Bill was a curious and passionate young man and had a special relationship with sound. As a young teen he was the only kid fixing the weary neighbors television and radio sets. Moving on... Bill and his brother Terry Hanley noticed certain inadequacies in sound deliverance at local community events. Frustrated, Hanley began constructing and building speaker systems with his brother Terry for local venues i.e. community church gatherings, colleges, and small concerts on the north shore of Boston. Some local venues include The Boston Tea Party and Psychedelic Supermarket with a young Don Law. Bills vision was developing, and as a result Hanley Sound (Salem St, Medford MA ) was born ...pushing him into a new realm of sound reinforcement. The compelling story of Bill Hanley and Hanley Sound is about dedication to an idea that sound clarity can actually empower and give voice to the people. In an era when concert promoters, musicians or even audiophiles did not think about quality in sound reinforcement, Hanley revolutionized it with extremely limited means. Bill’s story is not just about innovation, invention, and expertise …it’s about selflessness and sacrifice. This is a man who has overcome many struggles like witnessing the growth of a billion dollar industry, which he defined... only to see it slip through his hands. In my opinion the time is now for the music world to recognize the innovative work of Bill Hanley and Hanley Sound. Happy New Year! We are almost at goal for the Bill Hanley petition! Thanks for your signatures! Please consider sharing this and help us get to 2000!! !